Bishops Waltham is a small town in Hampshire, at the head of the River Hamble and close to the South Coast of England that dates back to Saxon times. Much of the town is unchanged, retaining the historic buildings and shops and narrow streets. Debbie and I stopped to take a walk through the town in April. We hope you enjoy the photos that we took, which are in the gallery below. The town is one of the few in England that has managed to retain it’s character, and as well as many of the Georgian buildings remaining, Bishops Waltham has managed to suppress the influx of larger supermarket chains and almost all of the shops in the town are family run businesses. The local butcher had a number of protest signs outside because one of the supermarkets is planning to open in the town, which will sound the death knell for many of the local shops. The ruins of Bishops Waltham Palace on the edge of the town are open to the public in the summer months and are run by the English Heritage Trust. The palace was used by the Bishops and senior clergy of Winchester as they travelled through their diocese. Winchester was the richest diocese in England at the time, and as such its properties were grand. The palace was destroyed on the orders of Oliver Cromwell during the English Civil war. Much of the old Palace is still in the town. Apart from the ruins, which are open to the public and well worth a visit, material from the Palace was used as building materials in town buildings still standing to this day. Click Here for Books and other items about Bishops Waltham from Amazon. Fixed Social Buttons is a plugin for Wordpress sites that adds buttons for popular social bookmarking sites to your wordpress pages. 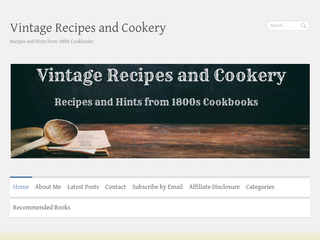 Buttons may be added either horizontally or vertically and at the top or bottom of the page. WordPress.com Got Overloaded – WOW! Travelling by train today you visualise high speed locomotives rattling along at over 100 miles per hour, with few stops and your destination being just hours away. One hundred years ago, in the age of steam trains, travel by train was a far more interesting journey. The Sydney Morning Herald from Australia on the 21st January 1911 included a great article on what it was like to take a journey on a steam train along a branch line 100 years ago. Back in 1911 railways were still in their prime, and the main method of transporting freight and passengers overland, with the motor car being still in it’s infancy, and neither roads or refuelling stations set up to allow driving between anywhere but the larger cities. And I haven’t been to Bavaria, but I have seen some wonderful photographs of places there. It’s on my long long list of places to visit one of these days. I hope I do make it there. I have been there many times. I used to live quite near-by and have friends living there. A lovely part of the country. I like such historic places a lot. I will be soon on a trip to Germany and visit a lot of them and show my daughter around.